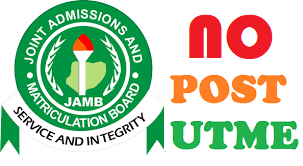 Let’s talk about polytechnics that do not conduct post UTME for their candidates. In other words, this post will cover a list of polytechnics that won’t do post UTME for you if you seek admission into any of them. It will be delightful if you such polytechnics that will save you the hurdle of reading for or writing another exam after you had done well in UTME. Check the collection below and be sure to check back for more to be added. Note that these polytechnic uses both online screening (uploading of information to the school portal) and followed by the physical screening (checking of candidates’ documents). What Criteria Do They Use to Give Admission? For the polytechnics you can enter without Post UTEM, you will be assessed based on your O’level results and UTME score. After meeting up with UTME cut off mark as drawn by the management and the 5 required credit passes or higher in your SSCE, you’re certain to be given admission. Your chance to gain admission depends so much on the two factors above and the rate of competition for the available capacity of the institution.